Treefort Music Fest is an indie music festival held at various locations in Boise. Check out the lineup that includes great indie music that ranges all over the spectrum: indie rock, punk, indie pop, alternative hip hop, and electronic music! It features local acts alongside national bands for an incredible weekend! Check back for updates on when 2020 Treefort Music Fest tickets will go on sale! The festival also includes other aspects too ... making it a multi-genre affair similar to SXSW. You can check indie films at the film festival, get your yoga on so you can get in alignment, all before heading out for a beer or adult beverage before experiencing some comedy or music. But the music is really what really shines at Treefort. 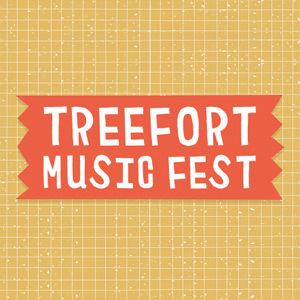 The CONFIRMED Treefort Music Fest 2020 dates are Mar. 25 -29. It happens at various venues around Boise ... so you get to hit the local club scene and see all sorts of live shows in a smaller, more intimate setting. A great break from the massive, mega-stage events that have taken over the music festival world. Treefort Music Festival venues are called "Forts," with each one offering a specialty. Check out Alefort, ComedyFort, FilmFort, Foodfort, Hackfort, KidFort, SkateFort, StoryFort and YogaFort. The Treefort Music Fest lineup and Treefort Music Fest 2020 tickets are below! Treefort day five video recap! Treefort day four video recap! Treefort day three video recap! Treefort day two video recap! Treefort day one video recap! Treefort Music Fest tickets are not on sale. Check back for updates! The Treefort Music Fest lineup for 2020 hasn't been released yet. Check back for updates! Who do you want in the Treefort Music Fest lineup?